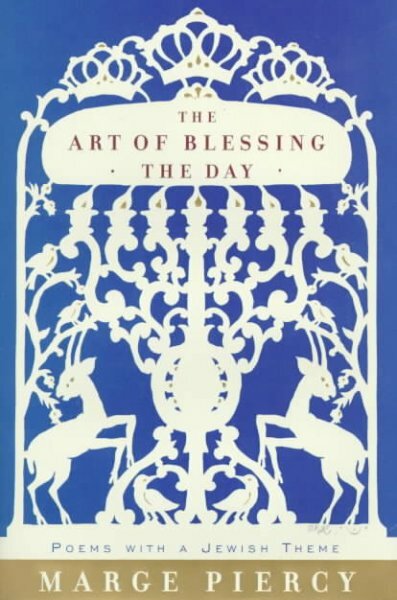 Poetry Friday--Happy Birthday Marge Piercy! men’s they were, brown and worn. They flapped when she hobbled along. the expressway with her cat. January, they died curled together. to open the window. It got hotter. unless she gets in your way. shoved into the street to starve. and you see living garbage. Let that settle in for a while...then, head down to The Poem Farm for this week's Round-Up. ...in 1853, in Groot-Zundert, Netherlands, Vincent Van Gogh was born. He grew up to be a painter of great renown. One of his paintings, "Sunflowers," sold for $39.9 million back on this day in 1987! The previous record price for a painting was a paltry $10.4 million. Van Gogh's "Portrait of Dr. Gachet" sold for $82.5 million just three years later! 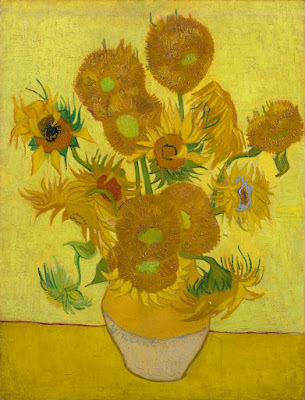 Not everyone is aware that the painting sold in 1987 is only one of Van Gogh's sunflowers. He produced a series of sunflower paintings that you can read about here, and many of which can be seen here. 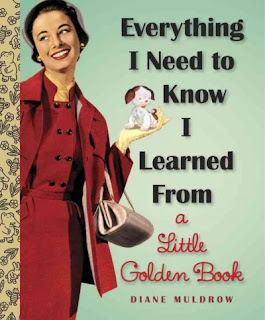 I'm pretty sure most American baby-boomers had a Little Golden Book growing up. The Little Golden Book, as a brand, was created in 1942 with the first dozen titles being released in October 1942. They sold for 25 cents each. The books were still selling for a quarter in the 1950s when I was of the Little Golden Book age. Read a history of the series here. Some of the titles, like The Poky Little Puppy, have been reprinted and reprinted and gone on to sell in the millions. They now also come in collections of titles in reinforced bindings (as opposed the simple stapled, cardboard covered originals with a gold spine), such as Little Golden Book Classics: Three Best-Loved Tales [JP LIT]. The three tales are: My First Counting Book by Lilian Moore; The Kitten Who Thought He Was a Mouse by Miriam Norton; and Home For a Bunny by Margaret Wise Brown. So as not to be left behind, the Little Golden Books of today can be found in eBook format, which a child can read on a smart phone or tablet. An example in our collection is The Happy Man and His Dump Truck by Miryam. A humorous "guide to life" for grown-ups! One day, Diane Muldrow, a longtime editor of the iconic Little Golden Books, realized that, despite their whimsical appearance, there was hardly a real-life situation that hadn't been covered in the more than 70-year-old line of children's books—from managing money, to the importance of exercise, to finding contentment in the simplest things. In this age of debt, depression, and diabetes, could we adults use a refresher course in the gentle lessons from these adorable books, she wondered—a "Little Golden guide to life"? Last Saturday, March 25, the Friends of the Library of Windham (FLOW) held a Pet Shop Party for the children of Windham. Hundreds of attendees decorated pet rocks, vied for raffle prizes, ate animal crackers, watched a wild animal show, and had their faces painted by The Art House. And, did I mention there was also a book sale? If you weren't able to attend, here's what you missed! Did you catch To Walk Invisible last night on PBS? 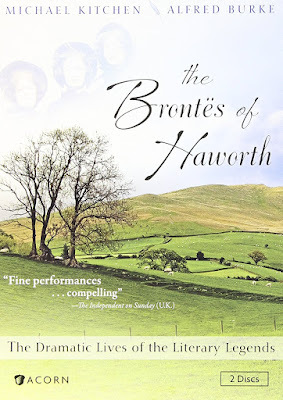 If so, you may want to learn more about the Bronte sisters, or to read their novels. All three sisters are found on our shelves. Anne, with The Tenent of Wildfell Hall [F BRO], Charlotte with Jane Eyre, Shirley, The Professor, The Search after Hapiness [sic]: A Tale, and Villette [F BRO], and Emily with Wuthering Heights [F BRO]. Poet Derek Walcott passed away last week at the age of 87. Walcott taught for many years in Boston, and did readings in the Boston area. I was lucky enough to have heard him read his work a few years back. Walcott, born on the island of St. Lucia, was a poet of world renown. He was awarded the Nobel Prize for Literature in 1992. He had a distinctive voice, which you can experience by listening to him read his poem, "Sea Grapes." We are all "waiting for the sound of a bird to unhinge the beginning of spring," but we'll no longer have Derek Walcott to show us how beautiful it will be. 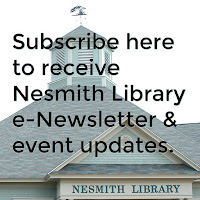 Reading to the Core is the place to be for this week's Round-Up--check it out! On this day in 1839, the initials "O.K." are first published in The Boston Morning Post. Meant as an abbreviation for "oll korrect," a popular slang misspelling of "all correct" at the time, OK steadily made its way into the everyday speech of Americans. 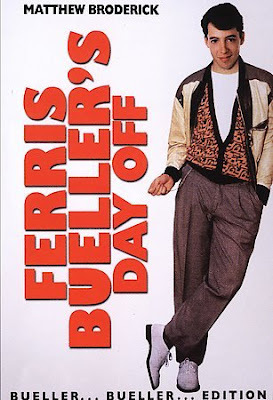 National Goof Off Day is celebrated on March 22. There's no official website, and no official proclamation, but if you need an excuse to goof off, then today is the day to do it! So, how to celebrate? Watch Ferris Bueller's Day Off [DVD FER] or National Lampoon's Animal House [DVD NAT] or Pee-wee's Big Adventure [J DVD PEE]! If you're a geeky-type person, you probably already know this, but NASA (National Aeronautics and Space Administration) periodically releases free software to the general public. Their latest released happened a few weeks ago. The 2017-2018 Catalog can be accessed here. As you would expect, a lot of what is available has to do with aeronautics, but there may be items of interest for the general population, for example Eyes on the Earth 3D "provides a generic means for people to interactively view the real-time location, speed and recent data gatherings of several of NASA's Earth observing Satellites using a 3-D graphical interface." Or, Station Spacewalk Game App, which "features simulations of Extravehicular Activities (EVAs) conducted by NASA astronauts on missions to the International Space Station." TechCrunch.com has preselected a few things for you to look at, so that you don't have to go through pages and pages of software offerings, click here. This is not a joke--knitters in a MA retirement community make sweaters for chickens! You must click here for the photos. So, in recent years we've seen articles on sweaters for penguins, elephants, and now, chickens. Who knows what creature will be sporting a sweater next? Speaking of knitters, did you know that we have a group that meets at the Library twice a month on the first and third Thursdays at 12:30? 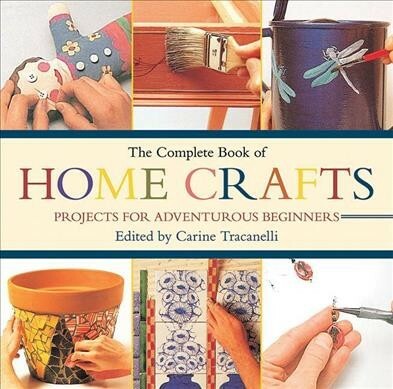 They offer knitting companionship and expertise, and are willing to help with a knitting question or problem you may encounter with your own projects. If you've been knitting for any length of time, you probably have a stash of yarn that isn't quite enough for a project, yet too good to simply toss away. If so, we have a collection box at the Library where you can leave your yarn. The American Legion Auxiliary, Unit 63, of Salem uses the yarn to make lap robes for veterans at the VA facilities in Manchester and Tilton, NH. 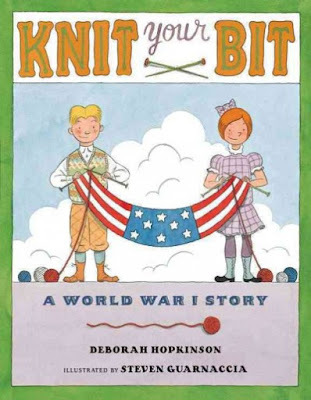 Charitable knitting is a time-honored tradition in the United States, from knitting scarves for active duty soldiers, to making chemo caps for the sick, to making blankets for premature babies. It's an activity that will give you a real sense of accomplishment. And anyone can do it! 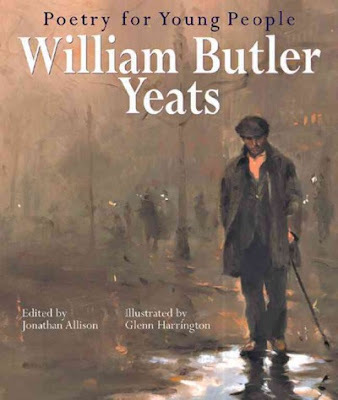 Since it is St. Patrick's Day, it is only natural to pick an Irish poet to feature, and probably the Irish poet most familiar to Americans is William Butler Yeats. Yeats not only wrote poetry, but he also worked to preserve the old tales and legends of the Irish people. In our children's collection, Yeats' work appears in one of the splendidly illustrated "Poetry For Young People" volumes issued by Sterling Publishing (we about about 20 titles in the series) [J 821.8 YEA]. Of the poems presented, "To a Squirrel at Kyle-Na-No" is my favorite. The editor of the collection provided this helpful bit of information, "the Irish language place-name "Kyle-na-no" means the wood of nuts. Don't go messing with any squirrels or leprechauns today, but do stop by Life On the Deckle Edge where Robyn is hosting this week's Poetry Friday Round-Up. 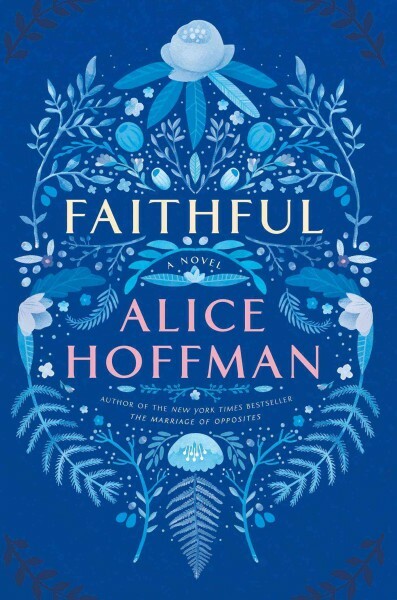 Prolific novelist, Alice Hoffman, was born on this day in 1952. She is officially a senior citizen, but, I'm sure writing will keep her forever young. 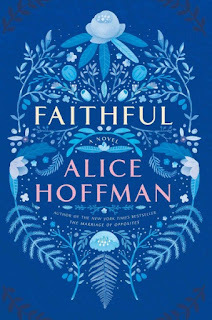 Hoffman has written at least 26 novels for adults and another dozen for children and young adults. Hoffman's early novel, Practical Magic, was made into a film of the same name [DVD PRA] starring Sandra Bullock and Nicole Kidman. The movie, The Godfather [DVD GOD], based on the book of the same name by Mario Puzo [F PUZ], was released on this day in 1972. That's 45 years ago! I'll bet many of our more mature readers will remember going to the movies to see it. It was a smash hit, and went on to spawn The Godfather: Part II [DVD GOD] in 1974 and The Godfather: Part III [DVD GOD] in 1990. The prequel to the novel, The Godfather, was written by Edward Falco and published five years ago as The Family Corleone [AB/CD FAL, also eAudio]. The Corleone family started the whole mafia family craze that also included the movie, GoodFellas [DVD GOO] and the television series The Sopranos [DVD TV SERIES SOP]. Here it is, March 14, and reports say we will be having a foot of snow! Sorry, but I'm done with winter. Bring on spring! Yes, indeed, there is an internationally recognized day for celebrating the bagpipe--March 10! Bagpipes are one of those instruments you either love or hate! And sometimes even bagpipe lovers may not be entirely devoted. A. Someone who can play the bagpipes, but doesn't. So he vanish'd from my sight. Okay, so you didn't think you'd make it through this post without a bagpipe video, did you? Well, what do you think? Are you a bagpipe lover or hater? 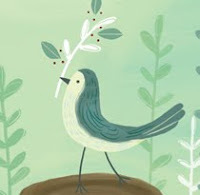 Check out all the poetry being rounded up at Today's Little Ditty. 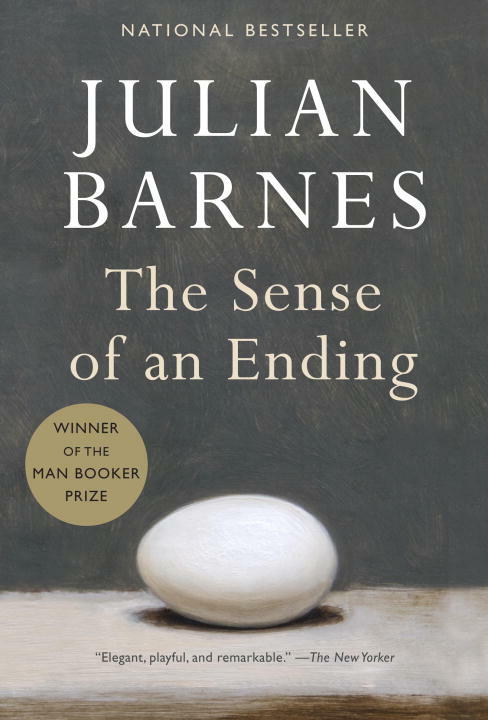 The Sense of an Ending is based upon the book of the same name by Julian Barnes [F BAR, LP BAR, eBook]. Tony Webster thought he’d left all this behind as he built a life for himself, and by now his marriage and family and career have fallen into an amicable divorce and retirement. But he is then presented with a mysterious legacy that obliges him to reconsider a variety of things he thought he’d understood all along, and to revise his estimation of his own nature and place in the world. The Sense of an Ending is a good choice for book discussion groups. The new movie, when released in DVD, should be an interesting campanion activity for groups that discuss the book. Way back in 1952, novelist Daphne Du Maurier published a mystery called My Cousin Rachel [F DUM]. The best-selling novel was soon made into a movie starring Richard Burton and Olivia de Havilland. Now, 55 years later, the film has been remade and will open on July 14. You'll have plenty of time to read the novel before then! 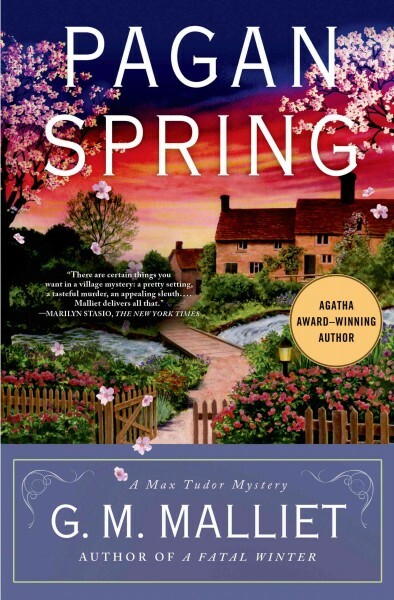 After her husband's death, Rachel comes to England to stay with Philip Ashley, her husband's nephew, who is ten years her junior. Philip succumbs to her charms, but begins to suspect that his uncle's wife may have had a hand in his death. I'll look into the availability of the older version in case, after reading the book, you can't wait to see a movie version! It's still a few months away, but The Dinner is scheduled for release on May 5. The thriller, starring Richard Gere, is based upon the book by Herman Koch (originally published in the Netherlands) [F KOC, LP KOC, eBook, eAudio]. On a summer's evening in Amsterdam, two couples meet at a fashionable restaurant for dinner. Between mouthfuls of food, the conversation remains a gentle hum of polite discourse. But behind the empty words, terrible things need to be said. Each couple has a fifteen year- old son. The boys are united by their accountability for a single horrific act. As civility and friendship disintegrate, both couples show just how far they will go to protect those they love. 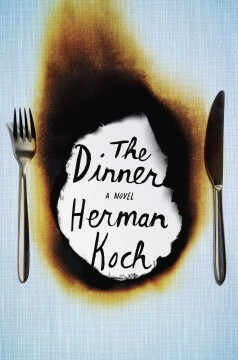 The success of "The Dinner" depends, in part, on the carefully calibrated revelations of its unreliable and increasingly unsettling narrator, Paul Lohman. Whatever else he may be, likable he is not. There is a bracing nastiness to this book that grows ever more intense with the turning of its pages. It will not please those who seek the cozy, the redemptive or the uplifting. It may be difficult to read, but it'll probably be great as a movie! Today through Thursday, I want to alert you to new movies that are set to be released in the next few months. If you're smart, you'll read the book now while you still can get it! 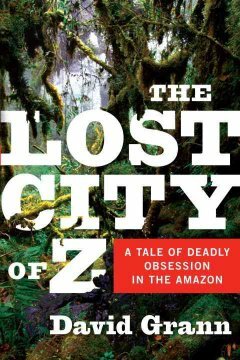 The Lost City of Z: A Tale of Deadly Obsession in the Amazon by David Grann [918.11 GRA] was published back in 2009. The subtitle alone should have been enough to interest movie makers! The Lost City of Z, a film as transporting, profound and staggering in its emotional power as anything I’ve seen in the cinema in years. 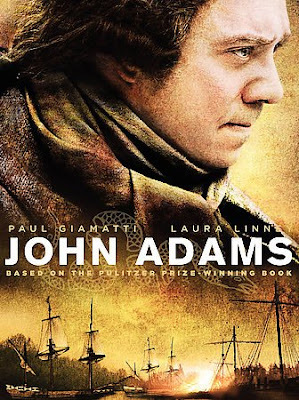 As a piece of historical drama (it was adapted by Gray from the non-fiction book of the same name by David Grann) it’s sincere and scrupulous. In 1925, the legendary British explorer Percy Fawcett ventured into the Amazon jungle, in search of a fabled civilization. He never returned. Over the years countless perished trying to find evidence of his party and the place he called "The Lost City of Z." In this masterpiece of narrative nonfiction, journalist David Grann interweaves the spellbinding stories of Fawcett’s quest for "Z" and his own journey into the deadly jungle, as he unravels the greatest exploration mystery of the twentieth century. When you read the title did you think I was going to feature a poem from our children's room collection? Wrong! Today's poem is by one of America's most beloved living poets, Billy Collins. And, since it is also the week following the Academy Awards ceremony, I think it is also apropo that it is a poem about the movies! I hope it made you smile! It did for me. Did you know that March 22 is Billy Collins' 76th birthday? Happy early birthday, Mr. Collins! Who know, we may celebrate it again later in the month, too! For now, you should head over to My Juicy Little Universe where undoubtedly there will be more Billy Collins poems to delight you! On this day in 1933, the movie King Kong had it premiere in New York. 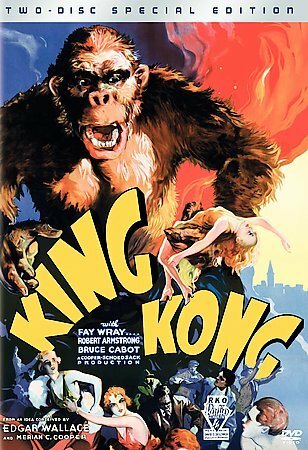 It was reviewed in the New York Times the following day under this headline, "A Fantastic Film in Which a Monstrous Ape Uses Automobiles for Missiles and Climbs a Skyscraper." That just about says it all! To see an ad for the film that was in the paper on March 1, click here. We have a copy of the 1933 film in our DVD collection [DVD KIN], as well as the 2005 remake [DVD KIN]. And, as if that isn't enough monkey business, we also have Son of Kong [DVD SON], a sequel from 1933. Kids interested in how movies were made can pick up The Children's Book of the Movies: Explore the Magical, Behind-the-Scenes World of the Movies [J 791.43 CHI], which has a chapter on King Kong. March is one of my favorite months because it is a sign that we've made it through another winter! It is also the month of St. Patrick's Day, which means corned beef and cabbage, and, it is National Craft Month!